Austin Roylance entered the stage at 7:31 p.m. wearing a dark suit, white high-top Converse and colorful socks. He took his place at the elegant Grand Piano. No sheet music. After a deep breath in, his hands began to dance. Each puppet-like finger began bending and stretching to produce complex chords and arpeggios at will. At times, his finger-tips leapt like spiders across the keys faster than eyes could follow. Every so often, his whole hand bounced off the keys with the speed of one who had just touched a hot stove. In moments of calm, one hand would play a simple melody, while the other rested at his side. 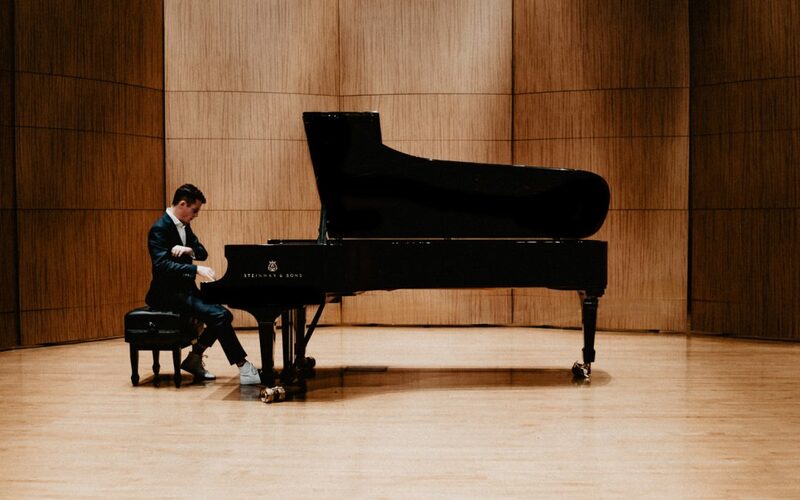 Austin Roylance, a junior working on his Bachelor of Music with an emphasis in piano performance, describes himself as “out of the ordinary” when compared to the average pianist. Every summer, he works as a pest control salesman for a family business in Seattle. This will become Roylance’s humble career to support his family, but his real passion is the piano. 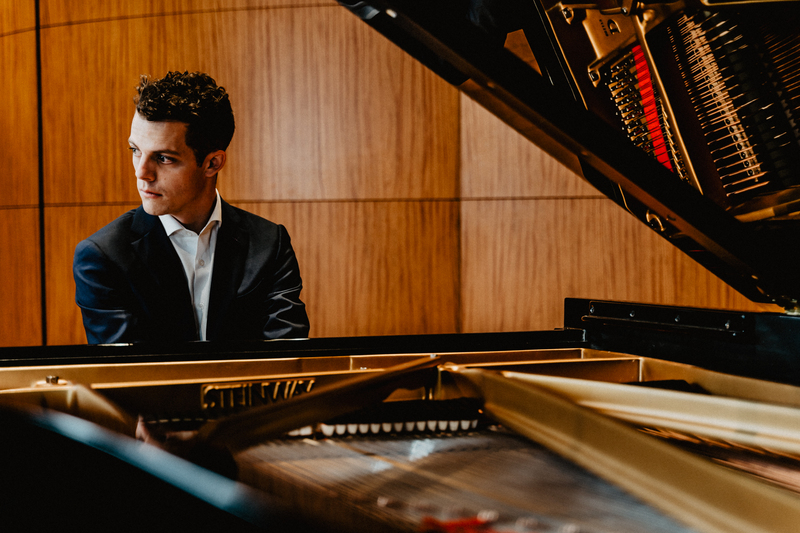 Roylance is currently a student of Stephen Thomas, a BYU-Idaho professor and accomplished pianist. Roylance’s Junior Recital is the forerunner for next years’ Senior Recital, when he will lead an entire orchestra. In December, he will send videos of himself performing to music schools across the East Coast to audition for the master’s program. 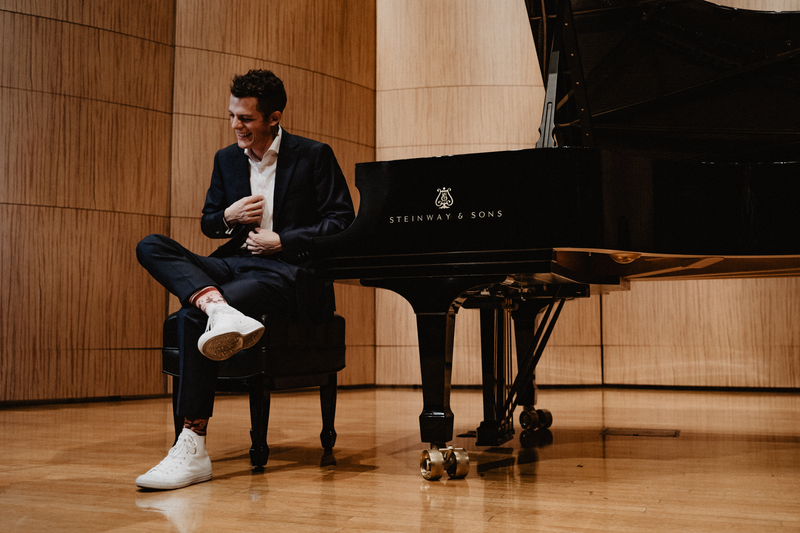 Roylance describes the art of the piano as “surreal and indescribable.” Despite the rigorous study and practice involved, there is nothing more rewarding to him than piano performance. Since Roylance made this paradigm shift, his concept of the audience has changed. This mindset also seems to have made all the difference in calming nerves. 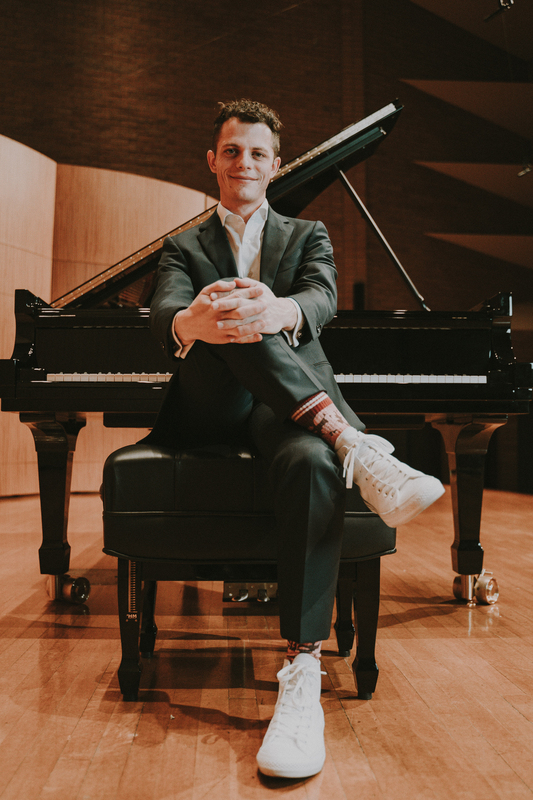 He has performed for campus STARecitals for the past year, but instead of focusing on overcoming nerves, his focus is projecting the beauty of his art to the listener. Roylance’s Junior Recital took place in the Ruth Barrus Concert Hall in the Eliza R. Snow Center. He performed for about an hour to an audience of nearly 100 students, family, friends and faculty. The afternoon of his recital, Roylance did what he called an “insanity workout,” to relieve his pre-performance nerves. The program consisted of four pieces chosen by Roylance. His preparation was evident in his performance. As his fingers went on auto-pilot, audience members gazed in awe. “When I heard that piece, I thought of him when he was five years old,” said Holly Roylance, Roylance’s mother. Roylance asked to take piano lessons at the age of 5. Soon after he began, his first teacher told his mother that Roylance was going to outgrow her soon and would need to find a new piano teacher. Between each piece, Roylance would wipe any tears from his eyes, bow and address the audience. I was truly inspired by this beautiful description of a young man with an amazing talent. He is a gift from Heavenly Father. It’s great to think of not only performing for an audience but for the Savior most importantly.